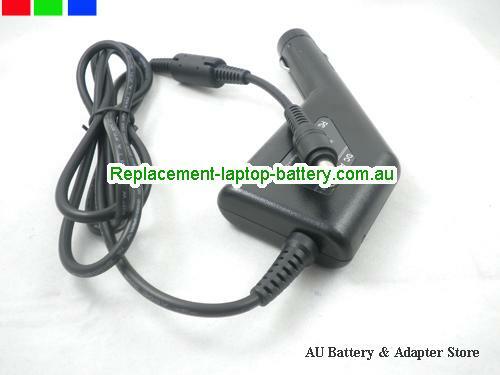 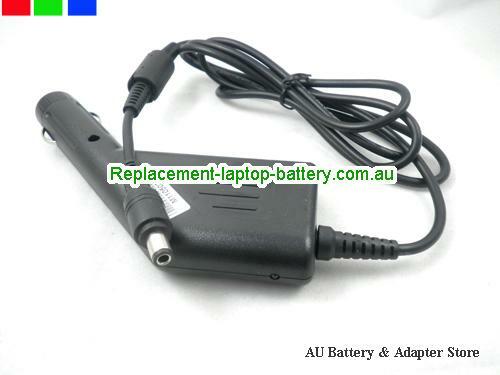 AU Original TOSHIBA 15V 5A 75W Laptop ac adapter CAP-TOSHIBA15V5A-6.0 x 3.0mm. 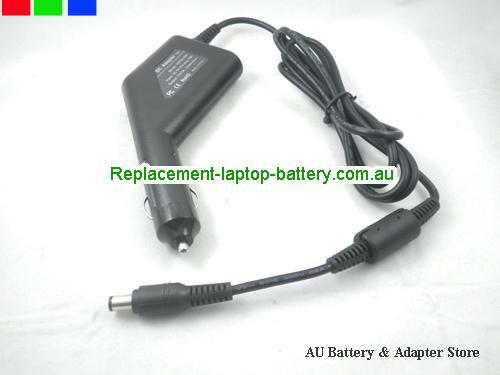 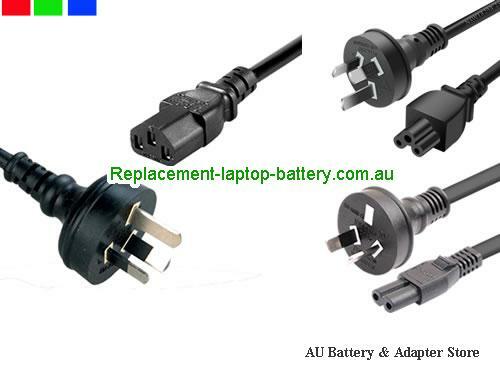 Ship worldwide TOSHIBA 15V 5A Adapter, all the 15V 5A TOSHIBA Laptop ac power adapter, laptop charger are 30 Days Money Back, 1 year warranty! 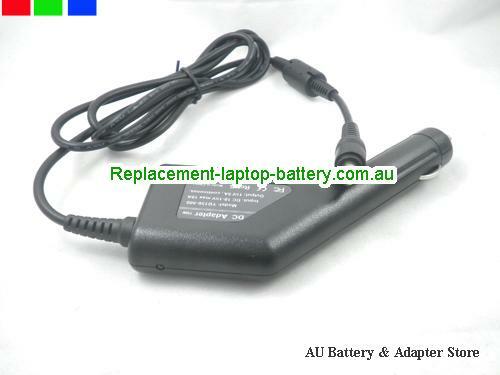 TOSHIBA: SATELLITE 2515CDS, , TOSHIBA SATELLITE 2805-S202, SATELLITE 5001-X, SATELLITE A10-S167, SATELLITE M30-S309, SATELLITE PRO 490XCDT, EQUIUM M50, TECRA M2, SATELLITE 1415-S105, SATELLITE 2515CDT, SATELLITE 2805-S301, SATELLITE 5005, SATELLITE A10-S169, SATELLITE M30-S3091, SATELLITE PRO 6000, EQUIUM M50-216, TOSHIBA TECRA M2-S319, TOSHIBA SATELLITE 1415-S106, SATELLITE 2515CTS, SATELLITE 2805-S302, SATELLITE 5005-S504, SATELLITE A10-S1691, TOSHIBA SATELLITE M35, SATELLITE PRO 6100, PORTEGE 3500, TECRA M2-S339, SATELLITE 1415-S115, SATELLITE 2530, SATELLITE 2805-S401, TOSHIBA SATELLITE 5005-S507, SATELLITE A10-S177, SATELLITE M35-S320, SATELLITE PRO A120, PORTEGE 3500 TABLET, TECRA M2-S410, SATELLITE 1415-S173, TOSHIBA SATELLITE 2530CDS, SATELLITE 2805-S402, SATELLITE 5100-201, SATELLITE A10-S178, SATELLITE M35-S359, SATELLITE PRO M10, PORTEGE 3505, TECRA M2-S430, SATELLITE 1415-S174, SATELLITE 2535, SATELLITE 2805-S503, SATELLITE 5100-501, SATELLITE A15, SATELLITE M35-S3591, TOSHIBA SATELLITE PRO M15, TOSHIBA PORTEGE 3505 TABLET, TECRA M2-S519, SATELLITE 1800, SATELLITE 2535CDS, SATELLITE 305CDS, SATELLITE 5100-503, TOSHIBA SATELLITE A15-S127, SATELLITE M35-S3592, SATELLITE PRO series, PORTEGE 4000, TECRA M2-S530, SATELLITE 1800-S252, SATELLITE 2535CDT, TOSHIBA SATELLITE 315CDS, SATELLITE 5100-S603, SATELLITE A15-S1271, SATELLITE M35-S456, SATELLITE R10, PORTEGE 4005, TECRA M2-S539, SATELLITE 1805, SATELLITE 2540, SATELLITE 315CDT, SATELLITE 5100-S607, SATELLITE A15-S128, SATELLITE M40, SATELLITE R15, PORTEGE 4010, TOSHIBA TECRA M2-S630, TOSHIBA SATELLITE 1805-S203, SATELLITE 2540CDS, SATELLITE 320CDS, SATELLITE 5105, SATELLITE A15-S129, TOSHIBA SATELLITE M45, SATELLITE S1400-S151, PORTEGE 7000, TECRA M2-S730, SATELLITE 1805-S204, SATELLITE 2540CDT, SATELLITE 320CDT, TOSHIBA SATELLITE 5105-S501, SATELLITE A15-S1291, SATELLITE PRO 400CDT, TECRA 520, PORTEGE 7010, TECRA M2-S7302ST, SATELLITE 1805-S253, TOSHIBA SATELLITE 2545, SATELLITE 325CDS, SATELLITE 5105-S502, SATELLITE A15-S1292, SATELLITE PRO 400CS, TECRA 530, PORTEGE 7020, TECRA M2V, SATELLITE 1805-S274, SATELLITE 2545CDS, SATELLITE 330CDS, SATELLITE 5105-S607, SATELLITE A15-S151, SATELLITE PRO 405CS, TOSHIBA TECRA 550, TOSHIBA PORTEGE 7100, TECRA M2V-S310, SATELLITE 220CDS, SATELLITE 2545CDT, SATELLITE 330CDT, SATELLITE 5105-S608, TOSHIBA SATELLITE A15-S157, SATELLITE PRO 410CDT, TECRA 8000, PORTEGE 7200, TECRA M2V-S330, SATELLITE 225CDS, SATELLITE 2400, SATELLITE 2545XCDT, TOSHIBA SATELLITE 335CDS, SATELLITE 5105-S701, SATELLITE A15-S158, SATELLITE PRO 410CS, TECRA 8100, PORTEGE M100, TECRA M2V-S3302ST, TOSHIBA SATELLITE 2400-S201, SATELLITE 2590CDT, SATELLITE 335CDT, SATELLITE 5105-S702, SATELLITE A15-S1692, SATELLITE PRO 415CS, TECRA 8200, PORTEGE M200, TOSHIBA TECRA M2VHOST, SATELLITE 2400-S202, SATELLITE 2590CS, SATELLITE 4000, SATELLITE 5105-S90, SATELLITE A50, TOSHIBA SATELLITE PRO 420CDS, TECRA 9000, PORTEGE M205, TECRA M3, SATELLITE 2405, SATELLITE 2590XDVD, SATELLITE 4010, TOSHIBA SATELLITE 5200, SATELLITE A55, SATELLITE PRO 420CDT, TECRA 9100, PORTEGE R100, TECRA M4, SATELLITE 2405-S201, TOSHIBA SATELLITE 2595CDS, SATELLITE 4030CDS, SATELLITE 5205, SATELLITE A55-S129, SATELLITE PRO 425CDS, TECRA A1, PORTEGE R200, TECRA S1, SATELLITE 2410, SATELLITE 2595CDT, SATELLITE 4030CDT, SATELLITE 5205-S503, SATELLITE A55-S1291, SATELLITE PRO 425CDT, TOSHIBA TECRA A2, TOSHIBA PORTEGE S100, TECRA S2, SATELLITE 2410-S203, SATELLITE 2595XDVD, SATELLITE 4060CDT, SATELLITE 5205-S504, TOSHIBA SATELLITE A55-S179, SATELLITE PRO 430CDS, TECRA A2-S119, SATELLITE 1400, TECRA TE 2300, SATELLITE 2410-S204, SATELLITE 2610DVD, TOSHIBA SATELLITE 4070CDS, SATELLITE 5205-S505, SATELLITE A55-S1791, SATELLITE PRO 430CDT, TECRA A2-S139, SATELLITE 1400-S152, TECRA TE2100, TOSHIBA SATELLITE 2415, SATELLITE 2615DVD, SATELLITE 4080CDT, SATELLITE 5205-S506, SATELLITE A55-S306, SATELLITE PRO 435CDS, TECRA A2-S20ST, SATELLITE 1405, TOSHIBA TECRA TE2100 SERIES, SATELLITE 2455, SATELLITE 2655XDVD, SATELLITE 4090XDVD, SATELLITE 5205-S703, SATELLITE A55-S3061, TOSHIBA SATELLITE PRO 440CDT, TECRA A2-S219, SATELLITE 1405-S151, TECRA TE2300, SATELLITE 2500, SATELLITE 2675DVD, SATELLITE 4100XDVD, TOSHIBA SATELLITE 5205-S704, SATELLITE A55-S3062, SATELLITE PRO 440CDX, TECRA A2-S239, SATELLITE 1405-S152, TECRA TE2300 SERIES, SATELLITE 2500-2515, TOSHIBA SATELLITE 2710XDVD, SATELLITE 500, SATELLITE 5205-S705, SATELLITE A55-S3063, SATELLITE PRO 445CDT, TECRA A2-S316, SATELLITE 1405-S171, SATELLITE A100-02M, SATELLITE 2500CDT, SATELLITE 2800, SATELLITE 5000, SATELLITE 5205-SP505, SATELLITE A55-S326, SATELLITE PRO 445CDX, TOSHIBA TECRA A2-S336, TOSHIBA SATELLITE 1405-S172, SATELLITE 2505CDS, SATELLITE 2800-S201, SATELLITE 5000-201, SATELLITE A10, TOSHIBA SATELLITE A55-S3261, SATELLITE PRO 460CDT, TECRA A2-S4372ST, SATELLITE 1410, SATELLITE 2505CDT, SATELLITE 2800-S202, TOSHIBA SATELLITE 5000-204, SATELLITE A10-S127, SATELLITE M20, SATELLITE PRO 465CDX, TECRA A3, SATELLITE 1410-1415, TOSHIBA SATELLITE 2510, SATELLITE 2800-S210, SATELLITE 5000-A540, SATELLITE A10-S128, SATELLITE M20-258, SATELLITE PRO 470CDT, TECRA A4, SATELLITE 1410-S173, SATELLITE 2510CDS, SATELLITE 2805, SATELLITE 5000-X, SATELLITE A10-S129, SATELLITE M20-S257, TOSHIBA SATELLITE PRO 480CDT, EQUIUM A100, TECRA A4-S111TD, SATELLITE 1410-S174, SATELLITE 2515, SATELLITE 2805-S201, SATELLITE 5000-Z59, TOSHIBA SATELLITE A10-S1291, SATELLITE M30, SATELLITE PRO 490CDT, EQUIUM A100-147, TECRA M1, SATELLITE 1415.